Explore a vibrantly crafted pixel world in this flying adventure platformer. Being a mute, Otus struggles living up to the expectations of owl-hood. Things spiral from bad to worse with the sudden appearance of sky pirates. What follows is a journey through monster infested ruins, with unexpected encounters, and burdens no-one should have to bear. In short, Owlboy is plainly superb. As it was in 2016, D-Pad Studios has crafted an excellent adventure that should be played by all. If you’ve already experienced Owlboy on another platform, there’s nothing here you haven’t yet seen. But if, like me, you never did play it before – now is the perfect time to experience one of the best indie adventures in modern memory. Impeccable dungeon design; Varied gameplay that always manages to stay fresh; A mix of puzzles, exploration and combat make for engaging moment-to-moment gameplay; Set piece moments such as chase sequences and stealth sections are amazing; Brilliant boss fights; A very well told and engrossing story with a great cast of characters; Beautiful and incredibly detailed visuals and art style. I had an awesome time with Owlboy. The game possesses a great story that may bring tears to your eyes, but it will also bring you happiness as this little Owl soars thru the sky with his loyal friends. If you have a taste for retro-styled music, you’ll definitely get a kick out of the soundtrack, and will find yourself residing in the same area because you love hearing a particular song. For those breath-taking visuals to be matched by equally beautiful characters and unique gameplay moments just elevates it even further. The beginning of the game is a bit too slow, and sometimes the gameplay was merely okay, but those are minor blemishes on a video game experience that is absolutely worth your time, and definitely worth the decade that it took to bring it to life. Owlboy is impressive if anything for its amazing visuals and animation. 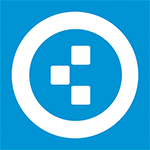 The gameplay gets by thanks to it being competent enough, but won't really inspire anyone. This is a pretty straightforward 2D action-adventure game that does a bit more heart than the average. Do not expect much replay value since it seems the developers poured their heart and soul into the main story and could not spare much more to have side content or any diversions to mix up the action. Also, do not go in expecting a metroidvania, because it is not. 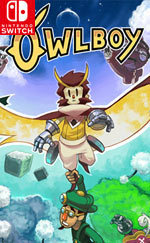 Owlboy is a three-pronged attack of success: the gameplay is tight, satisfying, and remains fresh throughout; the game’s world is visually stunning thanks to some truly masterful pixel art; and you’ll find yourself really caring about the cast of characters and the world surrounding them thanks to a compelling storyline and background lore. The game could be improved with the inclusion of map to aid exploration, but when that is the only real thing we can pick at as a negative point it is clear that we’re on to a winner. This is a game that is absolutely worth your time; if anything we’ve mentioned above has you even remotely intrigued by this game, we urge you to consider giving it a go. A superbly crafted 2D adventure that is a near perfect blend of new and old influences, in terms of both gameplay and the stunning visuals and music. 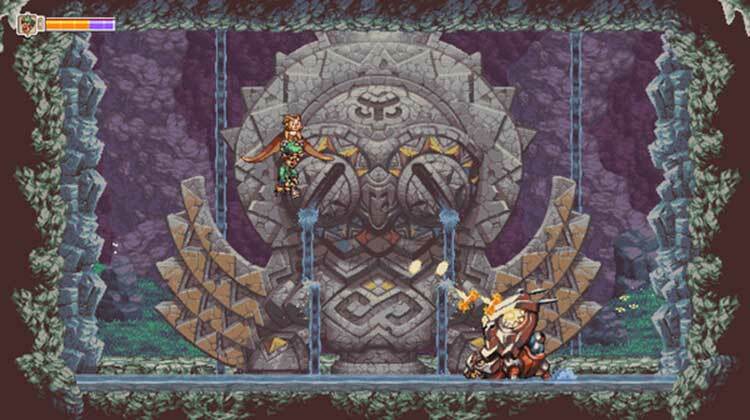 Some of the best pixel art ever in a video game, with amazing animation. Heartful storytelling, superb music, and some very clever gameplay ideas – especially the interchangeable allies. Owlboy is a masterpiece. Plain and simple. El título que nos ocupa es un gran exponente del género aventurero bidimensional. Su variedad de mecánicas lo hace tremendamente divertido, su medido control vuelve muy gratificante la experiencia y su encantador apartado audiovisual (genial la combinación chiptune y orquestal de la que hace gala su partitura) redondea una fascinante experiencia. 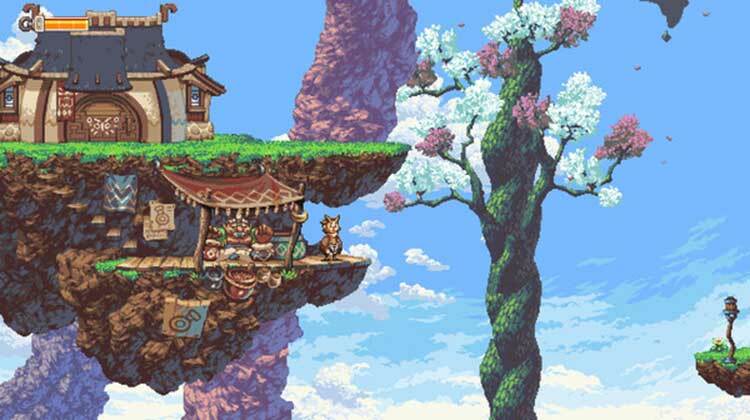 Owlboy es una pequeña gran aventura realizada desde el más puro de los amores a la época de los 16 bits. Puede resultar corta, fácil y relativamente poco rejugable, pero es una de esas experiencias que, a poco que te vayan los metroidvanias, deberías probar sí o sí. Y no sólo por los gráficos: su historia y guión son también más que notables. Pues es una experiencia que estoy seguro, te gustará de muchas maneras distintas. Ojalá y existieran filtros considerablemente más violentos para que los juegos que sí valen la pena, tengan una mayor exposición. 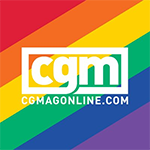 Siempre me ha aterrado pensar en la cantidad de títulos muy buenos que nos hemos perdido gracias a que han quedado sepultados en montañas de productos que sirven para nada. 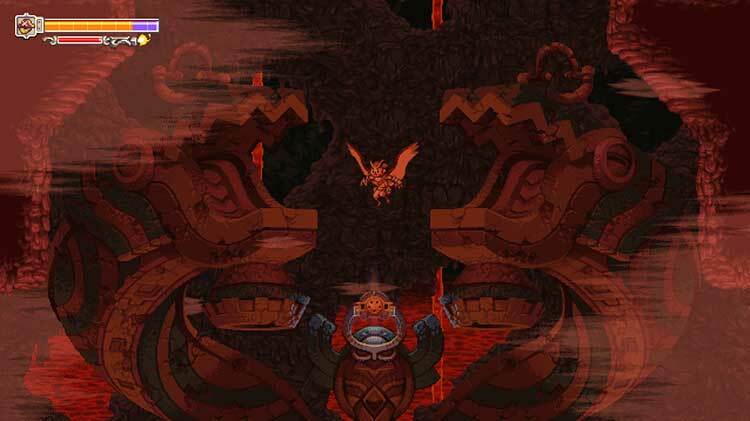 Owlboy es de esos juegos que crean recuerdos. 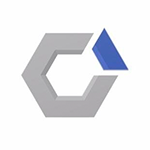 Ha valido la pena cada día del desarrollo de D-Pad Studio. Ha valido la pena que su influencia fueran otras obras de Nintendo como Super Mario Bros 3 o la serie Kid Icarus, y ha valido la pena lanzarlo en una plataforma como Switch que, poco a poco, se va haciendo con un catálogo de juegos independientes maravillosos para acompañar a esas IPs cómo buques insignia de su híbrida. Enfin, la faible course du stick droit sur Switch n'arrangera pas non plus nos commentaires d'époque sur la visée un peu grossière du personnage, et l'on ne saurait trop vous suggérer d'en profiter avec une manette Pro si vous en avez la possibilité. Toutefois, si le doute existait dans votre esprit, barrez-le d'un trait de plume : Owlboy vaut chaque centime de chacun des 23 euros que vous dépenserez pour vous l'offrir. 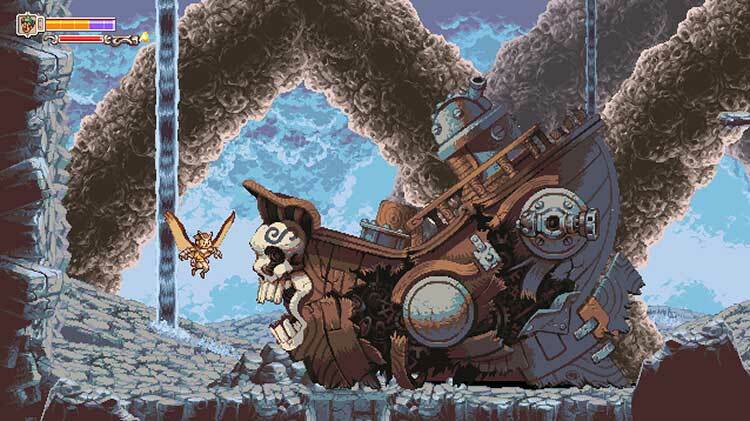 Em conclusão, Owlboy é um jogo obrigatório para qualquer pessoa que goste do estilo Metroidvania ou mesmo de uma boa história, com um elenco de personagens interessante e com imensa paixão por detrás de um projecto tão ambicioso e graficamente rico como este. Se possedete la console ibrida Nintendo e nutrite anche solo un vago interesse nelle produzioni indipendenti (che diamine, nei giochi con un'anima), allora sapete come investire i prossimi ventitre euro che non destinerete alla soddisfazione di un bisogno primario. 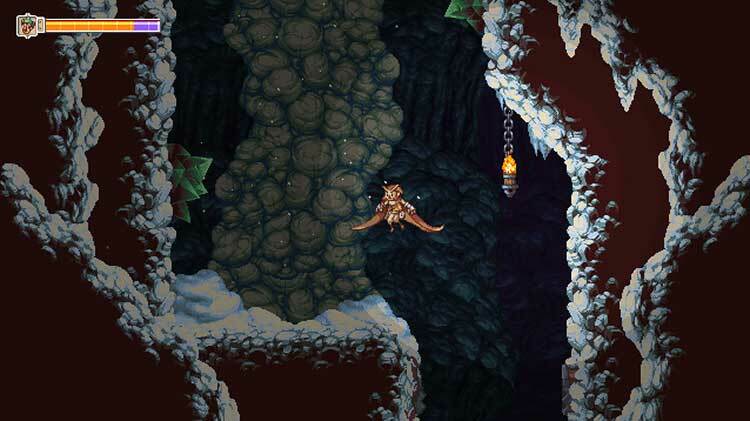 Owlboy moet je spelen als je een fan bent van 2D Metroidvania platformers, want de game heeft geweldige personages en een diepe, interessante wereld. Er is een prachtige pixelart stijl en naast dat het spel door en door grappig is, hebben de wapens niet alleen een functioneel doel want ze brengen ook levendige personages met zich mee. Ondanks dat de game soms voor frustraties zorgt wegens crashes, is Owlboy meer dan alleen een nostalgische ervaring.